Do B/Os ever get in trouble for using codebreak signs or other forms of clearly incorrect signs when they are deadheading? I get a kick out of those signs, but I can see it confusing or annoying people. In some cases (particularly BX13 YANKEE STD) it's a glitch. So funny you mention that! I saw that exact sign on a deadheading Prevost last week. That's a pretty weird glitch--what's the story behind it? Misprogrammed code or something? I saw a BX12 select sign on a deadheading Provost in the Financial District a few months ago. Not that I've ever heard of. I'd assume you would if you were in passenger service, but as far as DHD's, P/O's or P/I's... Not at all. 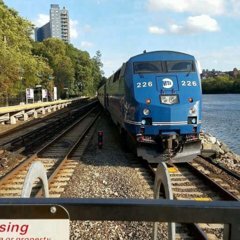 I personally enjoy using the x80, x7 (west midtown) and 'LIRR To Lawrence' codes when i pull out & in. I've never gotten any static from yard SLD's or superintendents, G/S or otherwise. There are some buses where if you put the code for the I heart NY sign, you get the Bx13 instead, but there are definitely ops who put it up on purpose too. I got called once during a deadhead to take the I Love NY sign down. One month during fall pick, they were going mad hard for signs. Truthfully and honestly. What's the big deal with not having the I Love NY sign on a deadhead. I mean the bus is already out of service. What’s the Status of 4580? Do buses that don't run late at night on Sundays, but on weekdays run unitl 1-2 am, run on Monday morning? Nope. This used to be an issue on the 24-hour routes, but the more recent MTA schedules somewhat solve that issue (of guessing which trips run and which don't on Monday Mornings). However, they gotta fix some of the schedules, as some of the schedules initially look like overnight service is halved, but in reality, one half is listed first, while the other half is at the end of the respective timetable. Maybe that's another way of deterring ridership. 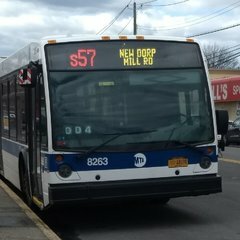 That, and the outdated schedules the MTA purposely posts for the Queens express buses after taking down the accurate bus schedules. The Bus materials need a graphic design manual of their own. The materials have always gotten the least love and generally look pretty terrible. Notice on the old maps, there isn't a crapton of landmarks plastered all over either..... This city is too heavily reliant on tourism. 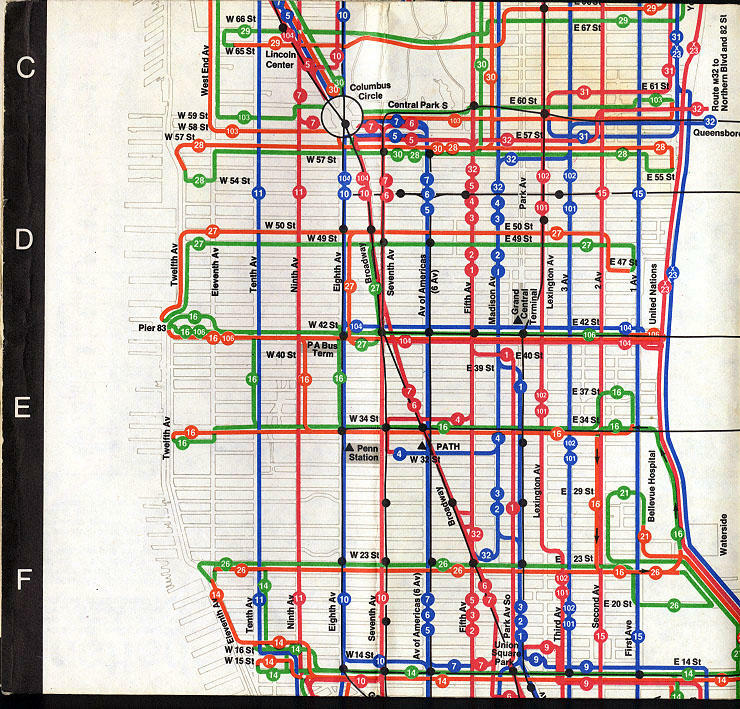 I like how the bus routes have two different directional colors. Northbound/Southbound and Eastbound/Westbound. Staten Island: All except the X3, X4, X23, and X24, (Technically, the X30 as it didn’t follow its normal due to an accident outside the Lincoln tunnel). Staten Island: All except the X4, X23, and X24, (Technically, the X30 as it didn’t follow its normal due to an accident outside the Lincoln tunnel). There are definitely more transit fans running around on the express buses. I don't know why but some of them seem to ride the BxM18 at night. I think I’m one of them. The BxM4 and BxM8 are my escape routes if the and are jacked up. As for the BxM18, I’ll have to try that one at some point. No, don't! lol No offense but there's enough people fanning that line for whatever reason taking up all of the damn seats at night. Lol @ more people fanning express buses nowadays though.... Before, the narrative was that they were this exorbitant luxury.... Now they're being used more as an "escape" from the subways. I know and the irony isn't lost on me. I've been noticing fuller than usual express buses. It's a combination of people running from the horrendous subways, people moving up earlier to get to work and elsewhere, and all of the nut jobs riding the subways and the overpriced MNRR and LIRR trains. I took the subway four times yesterday and in just about every instance, there was either a homeless person or a mentally disturbed person either on the platform or on the subway itself. Staten Isl: X1, X2, and X17 (SI Mall). I like getting Downtown to shop on weekends before the crowd hits, but I hate taking the subway down there from the BxM2. I may just bite the bullet and start getting an Uber to and from. I'll have to plan it though because I don't want to be sitting around in traffic either.